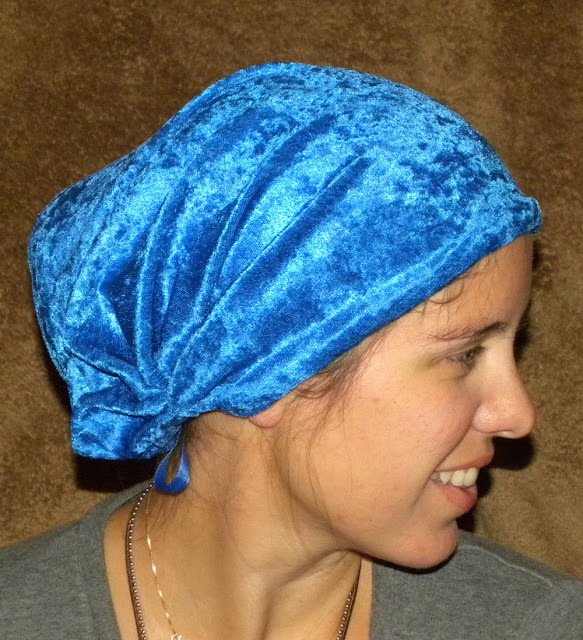 I'd been thinking a bit about sewing snoods for fall and winter, but when I bought quite a bit of crushed stretch velvet I had princess dresses in mind. Then I decided to sew a few snoods to see how they would turn out. 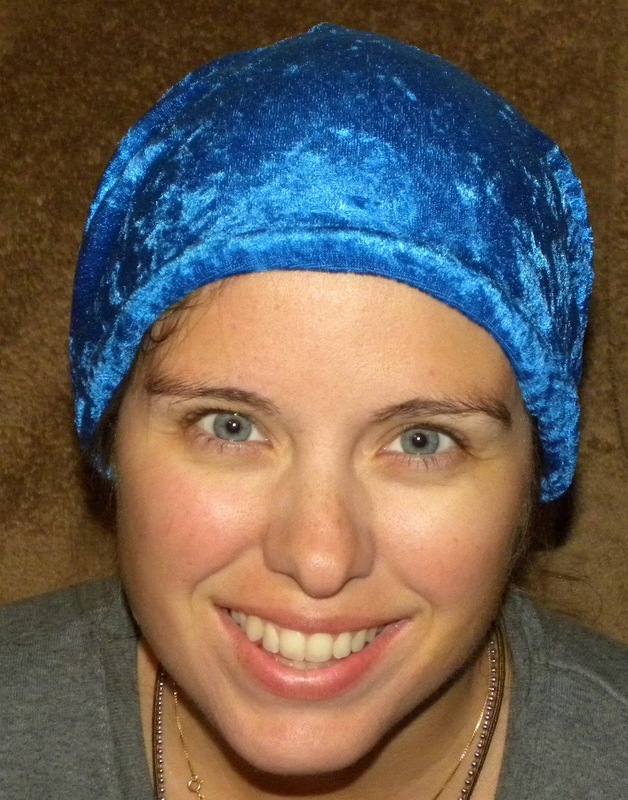 I finished my first velvet snood last night and tried it on. It was so comfortable! I took my hair down and tried the snood again (which is Snood Test #2 when I'm sewing). It stayed in place. 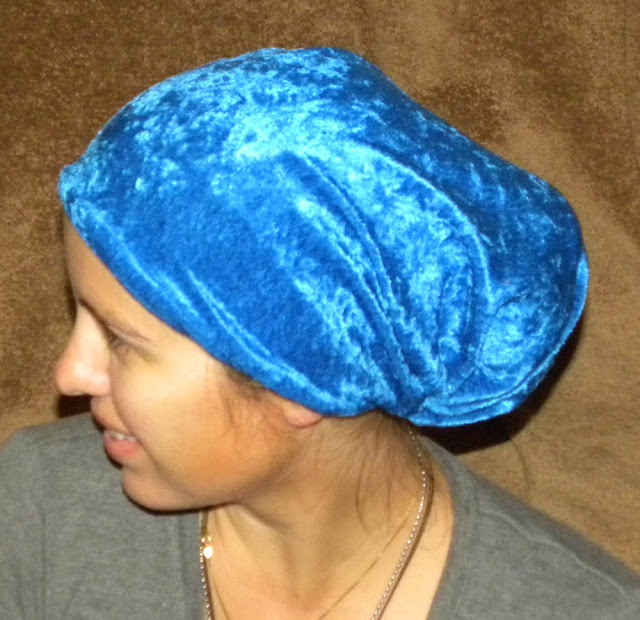 I decided to wear it to bed to see how it did and it actually stayed on my head, comfortably until early morning, which was great because I don't like sleeping with my hair up, but I also don't like it down where Mae can reach it and grab it when I get up to feed her. Then I wore it to Mass today... and kept it on all day (it's still on!). I will definitely be making velvet snoods in the dozen or so other colors of velvet that I purchased last week! This color is already up on my site. I'll keep adding more as I make them! I love how it stretches to fit my hair when it's in a bun, a pony tail, or down. Can you see where I broke my nose (twice) playing rugby in the picture below? That's what stands out to me when I look at this one! I am pretty excited about this. 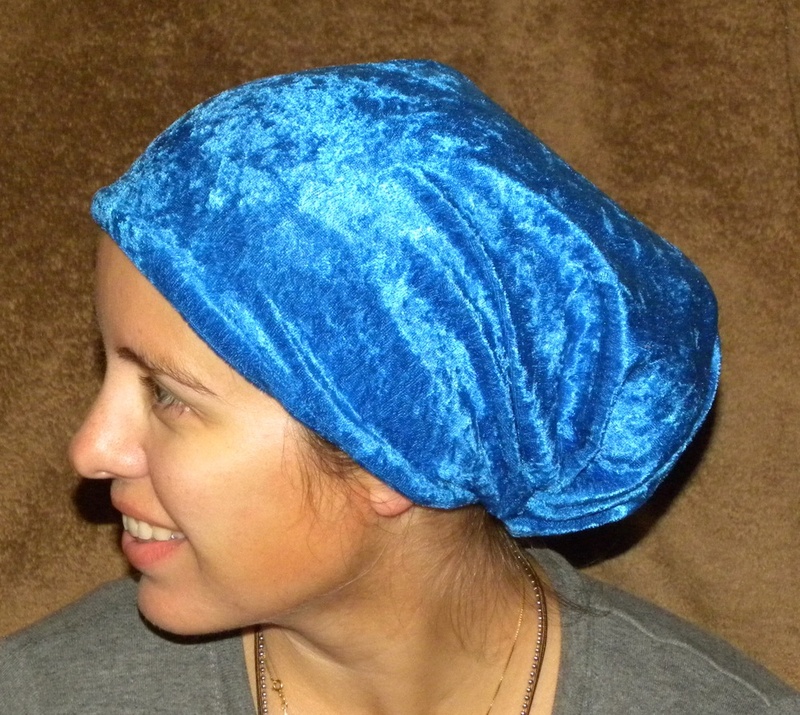 I have been wanting a "sleep cap" for a while and have yet to find one that I like. I tried to sleep in snood I bought from you before, but it wasn't comfortable. Is this more comfy to sleep in than your other ones? I haven't tried sleeping in any of the other ones but I would definitely think this one would be more comfortable because the fabric is so soft and because of the way these fit. The ribbon I used also makes it a little bit less bulky than some of the snoods with thicker ties. I didn't expect to like the velvet as much as I do, but I'm so excited about how they turned out!